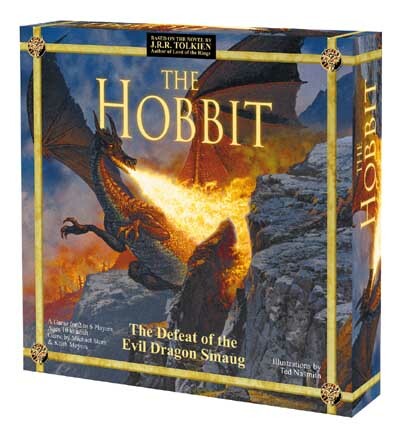 "Try to safely navigate your way to the Lonely Mountain and reclaim all the treasure that the evil dragon Smaug is hiding... but beware, the treasure is fiercely guarded and must be won in battle. Will you trade your jewels for adventure points? Can you successfully answer the riddles or recite the songs? Do you have the courage to steal a jewel right from under Smaug's nose? 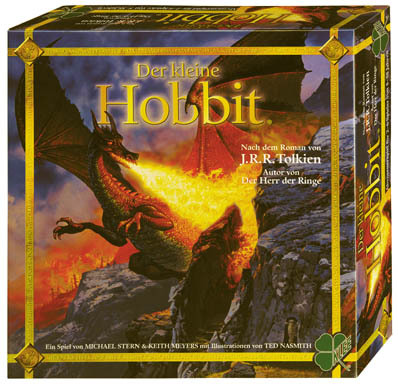 On this adventure you'll travel through the Edge of the Wild, the Misty Mountains, the Carrock, Mirkwood, Long Lake, and finally confront the Desolation of Smaug. Each terrain will yield magical encounters and valuable treasure. All your wits, luck, and skill will be tested!"